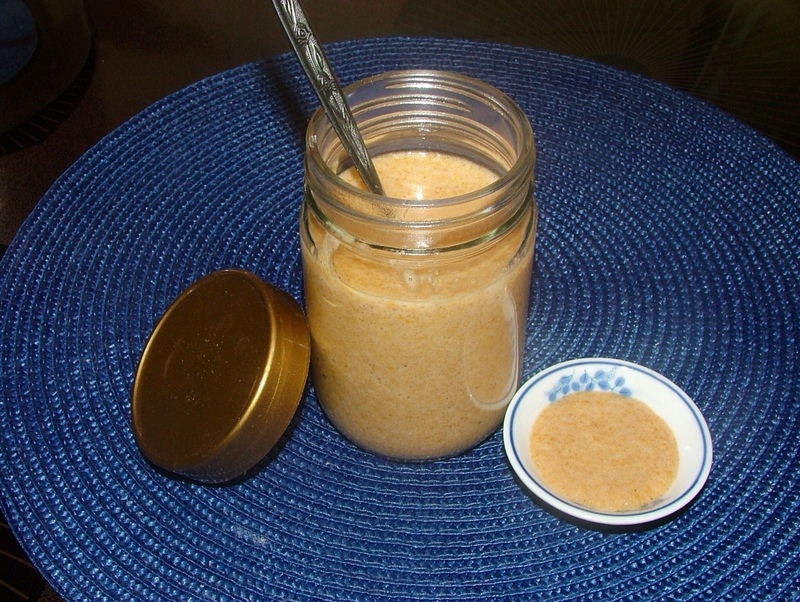 Making your own gourmet mustard at home is fun! This recipe is so tasty on meat sandwiches, and the texture is delightful, as the individual mustard seeds pop in your mouth! It's not only easy to make, but would make a lovely a gift along with a loaf of your homemade bread! My choice would be a loaf of dark rye bread for that perfect ham on rye slathered with Spicy Honey Mustard! This year I grew my own mustard and harvested the seeds but, they are brown (hot) mustard seeds used in Chinese mustard and hot mustard. You can purchase both brown and yellow mustard seeds in bulk at stores like Sprouts Farmer's Market or through my favorite spice store. Penzey's has local stores throughout the United States, or you can sign up for a catalog to browse through at your leasure and order on the Internet. They carry quality herbs, spices and seasonings from all over the world and their catalog is full of yummy customers' recipes! Using mustard seeds gives you control of the texture. 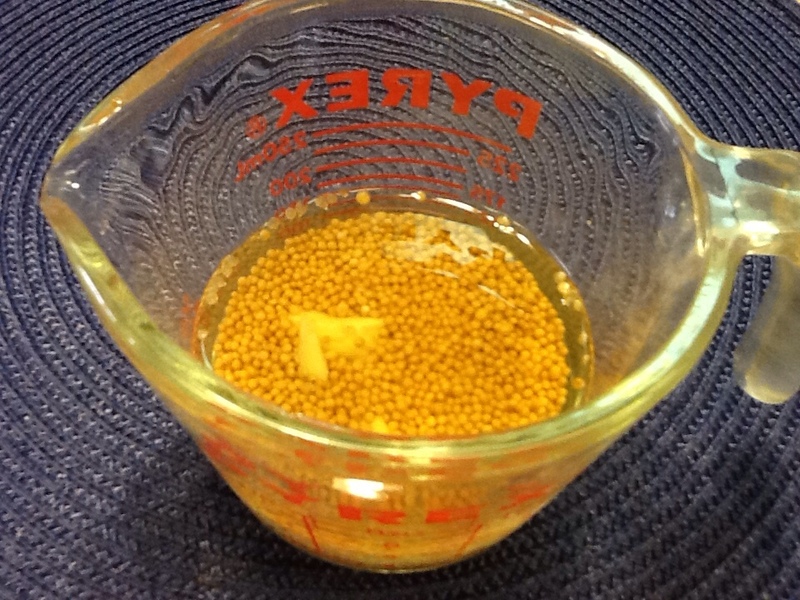 Combine mustard seeds, cider vinegar, crushed garlic and water in a small bowl. Cover and let sit on the counter/bench for 24 to 36 hrs. Mustard seeds, apple cider vinegar, water and crushed garlic. Spray measuring cup with cooking spray before adding 2 1/2 ounces of honey and cinnamon. Add all ingredients to food processor (I use my Bullet)) pulse until mustard forms a coarse consistency, leaving some mustard seeds still intact. Taste test mustard and add up to 1/2 ounce of more honey if you want it sweeter. This mustard will keep in the refrigerator for several months. 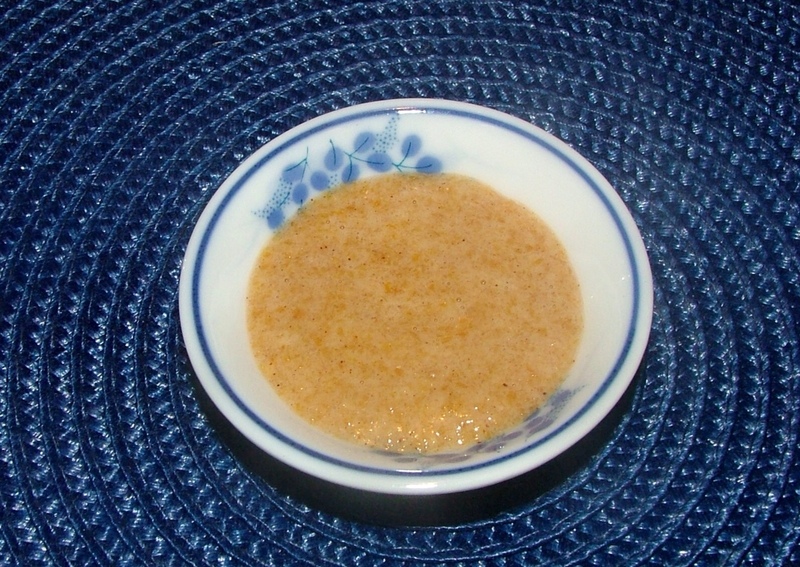 There are so many different kinds of mustards you can make, but this is my favorite . . . Over at Julie's!! !